Viewing Database Migrations from Let's create a Knowledgebase Application series. In this video lesson we will work on our database migrations. We will use them to build our database and migrated all of our tables. As you can see we are leaving the user table alone and we are creating thee tables. So let's load up the terminal and create the migration files. Now we can open them up in database/migrations. Let's start off with our categories migration. Now that we have our database migrations let's ensure that our .env file is ready. We want to ensure that our database variable are correct. Our database has been migrated and our tables are ready for us to use. 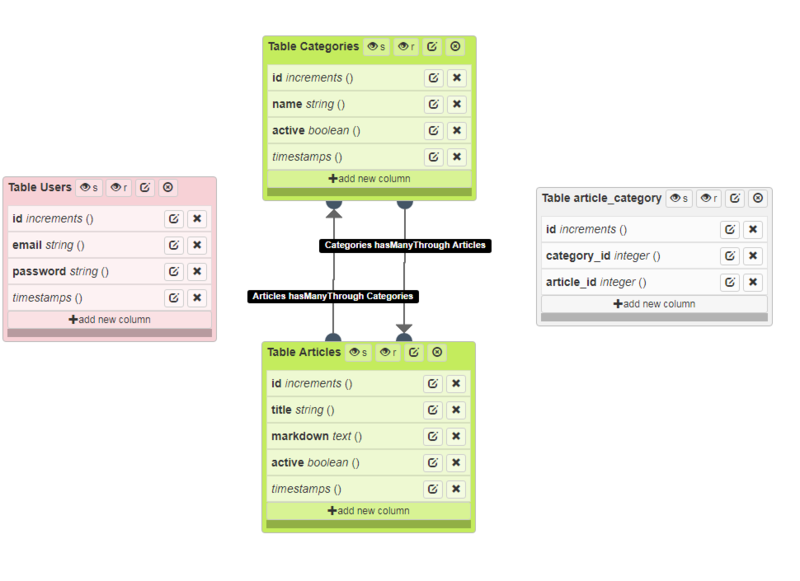 Our next lesson will be creating the database models and relationships between the tables. Thanks for watching.